Szerző: Skanzen 2018. március 18. 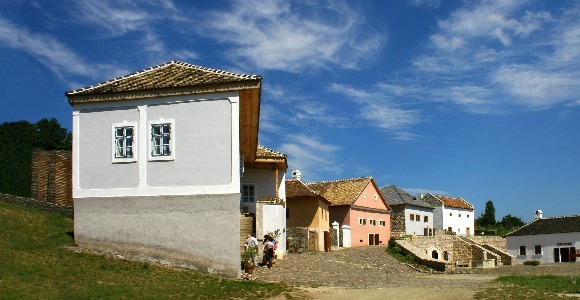 The aim of founding the Hungarian Open Air Museum was to present folk architecture, interior decoration, farming and way of life in the Hungarian language area from the 2nd half of the 18th century to the 1st half of the 20th century, through original and authentic objects, relocated houses arranged in old settlement patters. The more and more elaborate settlement plan appropriates the relocation of more than 400 edifices into the museum, arranged into village-like regional units on the basis of ethnographical considerations. Within the units buildings are fitted into the traditional system of peasant households, supplemented by sacred, communal and outbuildings which used to be integral parts of traditional villages. Dwellings and farm-buildings represent the typical houses and outbuildings having evolved historically in each region. 8 legends are located in the museum. The dates mark the opening year of each legend.